Lucknow: LMRC receives the green signal for the Metro Rail to start commercial operations. 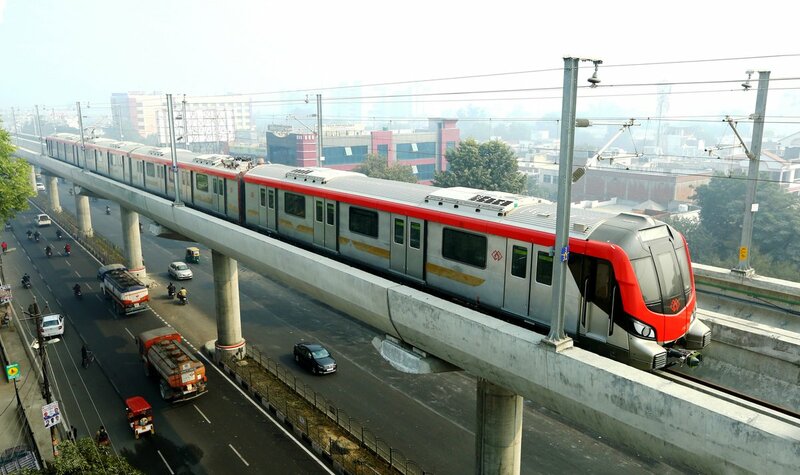 CMRS Satish Kumar Pandey gave his approval to the Lucknow Metro Rail Corporation (LMRC) after inspecting a trial run of a Metro train at the maximum operating speed of 80 kmph. Kumar, along with senior LMRC officials, carried out the inspection on Monday. The train completed a to-&-fro trial run between Transport Nagar & Charbagh station. The trial run was completed successfully on the 8.5 km priority corridor which covers 8 stations, LMRC in a statement said. “Getting all the required technical clearances from the Ministry of Railways and finally certification from the CMRS today to commence revenue operations on the Priority Corridor of the Lucknow Metro Project from Transport Nagar to Charbagh has been a great achievement. Now, doors are ready to be opened to commence public operation of the world class Metro service in Lucknow at any convenient date,” LMRC Managing Director Kumar Keshav said. The Government of India & the state government would be intimated that all clearances have been obtained to operate the metro rail in Lucknow, said LMRC senior PRO Amit Kumar Srivastava. A date will be sought from the government for inauguration.